The Fullerton City Council will once again consider adopting the 2014 version of its Legislative Platform on Tuesday night, May 6. Despite public calls for the City Council to support statewide legislation moratorium on the practice of hydraulic fracturing, or “fracking,“ and acidizing of wells, neither term is anywhere to be found in the proposed document. “(1) The state has failed to appropriately monitor or track well stimulation activity and to study its effects. (2) Well stimulation and well stimulation-related activities release harmful air pollutants, including methanol, crystalline silica dust, hydrochloric and hydrofluoric acid, xylene, 2-butoxyethanol, naphthalene, ethylbenzene, 2-propanol, volatile organic compounds, and particulate matter, which have an adverse impact on the state’s air quality and are detrimental to public health and safety. Many parts of California already suffer from poor air quality. (3) Well stimulation and well stimulation-related activities involve the use of hundreds of chemicals, many of which are known to be carcinogenic or are otherwise harmful to human health. These chemicals, along with dangerous chemicals present in the oil and gas formation, threaten to contaminate groundwater and surface water resources through numerous potential pathways. (4) Exposure to the chemicals used in well stimulation and well stimulation-related activities poses a widespread and significant risk to public health and safety and the environment. Studies have shown an increase in birth defects and illnesses in communities located close to well stimulation operations. (5) Well stimulation and well stimulation-related activities involve the use of substantial amounts of freshwater, which cannot be reused for other purposes once it is mixed with well stimulation fluid chemicals. California is currently experiencing one of the worst droughts in the state’s history and faces a scarcity of freshwater resources. (6) Well stimulation and well stimulation-related activities result in the emission of a substantial amount of greenhouse gases, such as carbon dioxide and methane. The construction, drilling, extraction, refinement, and end-use combustion of oil and gas produce vast amounts of greenhouse gas. Furthermore, well stimulation and well stimulation-related activities may lead to a dramatic increase in the overall amount of recoverable oil and gas in the state. The expansion of oil and gas activity and the process of well stimulation both threaten to undermine the state’s goal of reducing greenhouse gas emissions. (7) The disposal of wastewater resulting from well stimulation and well stimulation-related activities in other states has been linked to increased earthquake activity. (8) Fracking and other forms of well stimulation occur disproportionately near communities consisting largely of people of color, low-income households, non-English-speaking households, and persons already experiencing high levels of water or air pollution or water scarcity. (9) Well stimulation and well stimulation-related activities directly and indirectly harm wildlife, including species that are protected under federal and state endangered species laws. Numbers 5 and 7 above should be understood to be particularly relevant to residents of Fullerton. The recent earthquake and its seemlingly endless aftershocks could be connected to fracking. Seismic activity and fracking have been linked in other areas of the country, leading to moratoriums on the practice. Fullerton is fortunate to have ground water wells from which to draw a significant portion of its drinking water. Concrete wastewater injection well linings can eventually break down. Chemicals can leach into groundwater, ruining the most precious resource we have. Is it really worth the risk to extract the last stubborn remnants of oil and gas at a time when we know that burning them will lead to increased warming in the atmosphere, and when renewable energy strategies become cheaper every day? The people of Fullerton should be very disturbed by the omission of a statewide fracking moratorium in the city’s proposed Legislative Agenda. 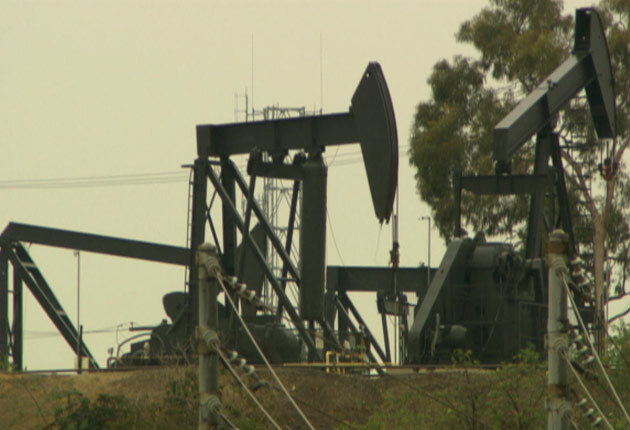 Our City Council should throw its weight behind legislation to stop fracking in Califiornia. Sidestepping the issue is not acceptable. *One wonders why our Assembly representative Sharon Quirk-Silva has made no mention of SB 1132 or the subject of fracking. Telephone calls, emails, and in-person questions to her staff from the Rag have gone completely unanswered. Readers can draw their own conclusions.